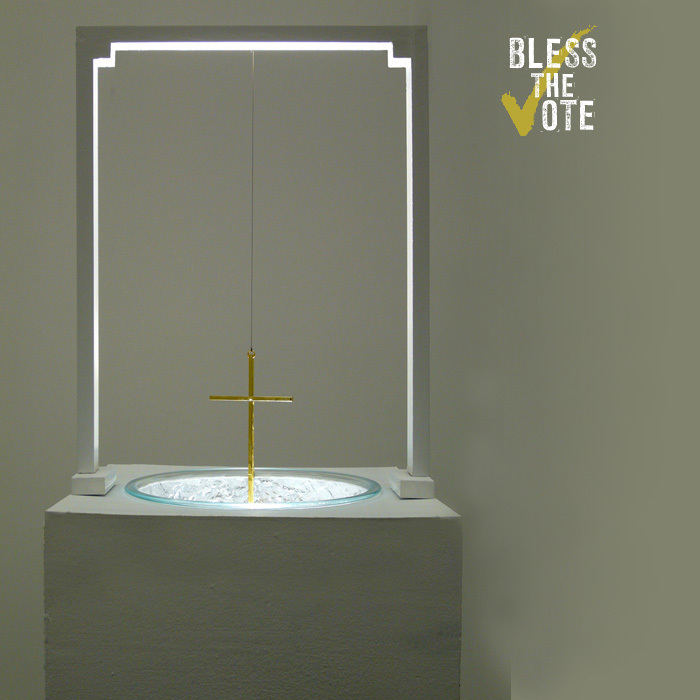 Bless the Vote is a critique on the influence of religious institutions on the political process. The piece is part of a greater voting machine in which a vote for a particular candidate is cast electronically and passed through the entire system. When it gets to this particular module, it sends the electronic vote through conductive thread into the "catholic cathode", which is partially submerged in holy water, and then received by an anode and passed to the next component in the machine. When the vote passes through, a bright light illuminates the golden cross from under the water basin.